Outstanding track. Excellent conditions and challenging layout. Clubhouse and 19th hole staff were incredibly friendly. Best course of the 5 we played on our Hilton Head trip. Great course and in pristine condition. Beautiful course. Best public course on the island. Must play. Nice course, revisited for second year. Very playable but presents a good challenge from the tips for low handicappers. Best of the three courses we played. Excellent condition. This course was Fantastic and the best course I played on my vacation. The staff was friendly and instructed us all on the playing conditions and cart rules for the day. The course was in great shape, speed of play was great. I highly recommend playing here if you are looking for a nice friendly place to play. Cost was reasonable. Wonderful golf course. Excellent condition and staff was very friendly. A definite future play for me again. If you have played Hilton Head National Golf Club, we would like to hear from you. the more skilled player if they wish to test the black tees. Hall of Famer, Gary Player and former PGA Tour Design Consultant and National Architectural Award Winner, Bobby Weed each used their distinctive design philosophies to create a unique 18 holes that will make you use every club in your bag. The greens are ample, but not severely undulating. Its signature feature is the huge double green shared by holes 9 and 18. Another unique feature of Hilton Head National is the absence of homes on the golf course. The course was hewn from virgin low-country forests. Most of the property adjacent to and adjoining the fairways is still in a natural and pristine state. Located just one mile from the bridges to Hilton Head Island, this course was named a USA Today Golf Atlas "Top Fifty Course" and a Coastal Carolina Golf Map "Top Twenty Layout." 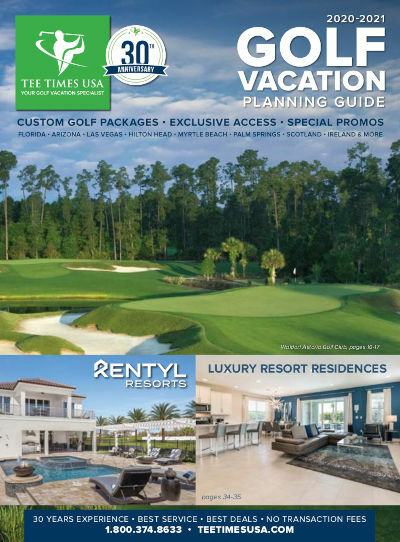 It also won three of the most prestigious awards in Beaufort County's South Carolina Low Country for 2012- The Island Packet Newspaper, The Bluffton Today Newspaper and Hilton Head Monthly Magazine's "Reader's Choice Awards" as Favorite Golf Course. Experience what local residents consider the Best of the Best. One of USA Today Golf Atlas "Top Fifty Courses"